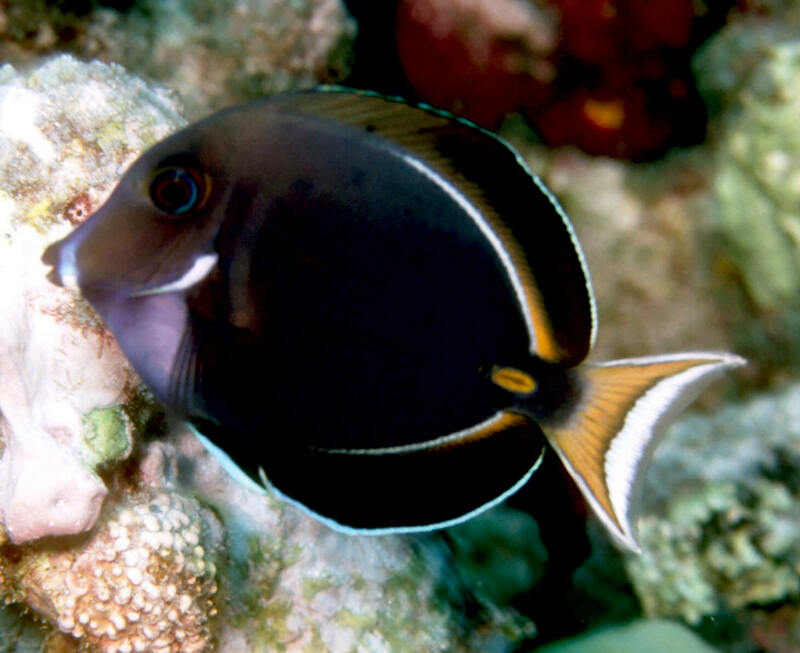 Acanthurus. achilles Shaw 1803, Achilles tang. Widely distributed from Hawaii westward through Micronesia and Melanesia, an area called Oceania (also reported from Mexico's Baja tip). Though the best specimens do hail from U.S.s 50th state success with this species can only be had by securing a healthy specimen, providing a large well-established living space, with high, consistent specific gravity and oxygen concentration. Juvenile off the Big Island of Hawai'i. 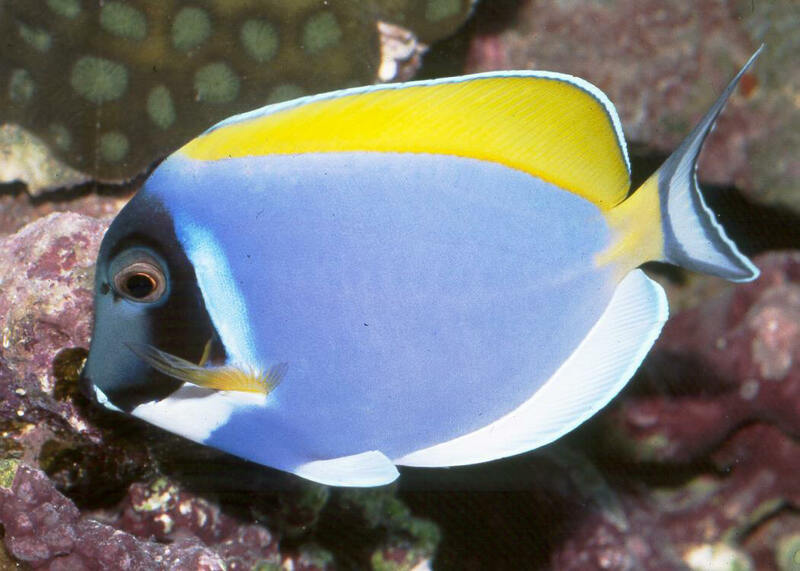 Acanthurus. achilles Shaw 1803, Achilles tang. Widely distributed from Hawaii westward through Micronesia and Melanesia, an area called Oceania (also reported from Mexico's Baja tip). Though the best specimens do hail from U.S.s 50th state success with this species can only be had by securing a healthy specimen, providing a large well-established living space, with high, consistent specific gravity and oxygen concentration. Adult off the Big Island of Hawai'i.